Cryptocurrencies are not all the same. 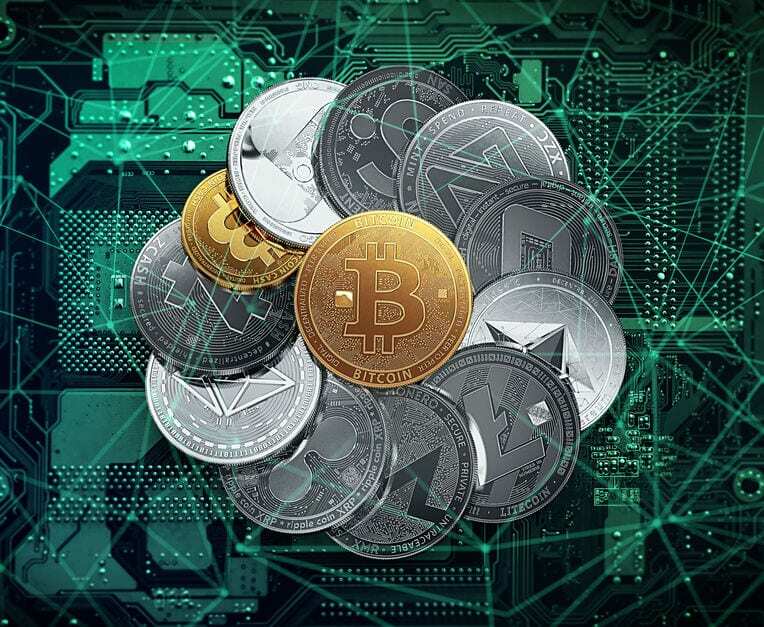 There are several different types of coin and tokens, and by that I mean there is a variety of different behaviors that different cryptocurrencies resemble. This is because the people making these currencies are literally writing the rules for how they work. Sound confusing? It is, and for this reason, I am going to drill into the main types of currencies that are currently on the market. Security tokens are tokens that act as stocks or shares in a company. Often these coins employ Proof-of- Stake systems (PoS), in which token holders are rewarded periodically for “staking” (holding) their tokens — similar to dividends paid by public corporations to shareholders. These tokens are recognized by the U.S. Securities and Exchange Commission (SEC) as securities, and so these tokens are subject to the same taxes and regulations as typical corporate shares — making them the least popular class amongst cryptocurrency investors. Securities tokens are used for investment purposes. They are typically offered in the form of an “Initial Coin Offering,” or ICO, which is similar to an Initial Public Offering, or IPO. Investors purchase tokens from a company in hopes that their coins will gain value and accrue dividends as the company grows. Payment coins are treated by the SEC as a commodity. They do not offer dividends to holders, and they are solely used for the purpose of transferring and storing wealth. A classic example of a payment coin is Bitcoin. While Bitcoin and its core technology are constantly being amended and improved, value increases of Bitcoin are largely a result of supply and demand. Because its value is not tied directly to the success of an underlying company, Bitcoin is equated to other commodities such as gold. Payment coins are primarily used in place of money. They can be used to make purchases, pay wages, and store value. Utility tokens are tokens that are purchased to be applied toward a specific function. They are not designed for investment purposes, and so they are not treated as securities by regulatory watchdogs. Instead, utility tokens are equated to in-app tokens or digital coupons which are used to buy virtual goods and services. Utility tokens can be used for a variety of purposes. The use cases are only limited by the imagination of the creators. Typically, they will offer users access to specific services. Buying utility tokens before their price is driven up by supply and demand will effectively grant holders a discount on said services. Supply and demand affect all three classes of tokens, so circulation plays an important in determining their value. Too large of a circulating supply may doom the coin to an eternity of low value, and too low of a supply may prevent a coin from ever being adopted by the masses. Consider this scenario from my last trip abroad, where I found myself late to catch a flight in Bangkok. I was in a cab on my way to the airport, and I had run out of the local currency, the Thai baht. The cab driver didn’t take credit cards, but I did have some US dollars on me, so I asked if I could pay with USD instead. He gladly accepted. Why? Because he knew how widely circulated US dollars are — and he recognized their value. People will accept USD, knowing that it can be easily converted to other currencies or used to pay for goods and services. Had I offered him Zimbabwean Blind Note or a Mexican Peso, he would likely not have felt confident enough to accept it since those currencies are not well circulated, and therefore they do not have far-reaching liquidity or recognizable value. For a comprehensive look at this new technology, check out my new book Blockchain 101: Fundamentals of a New Economy, where I explain everything from the structure of distributed ledgers to the functions of individual tokens — in terms that you, your Grandma, and your inner third-grader can understand. Read the original article published on October 4, 2018.